Big thanks to Dia&Co for supporting Fatgirlflow.com by sponsoring this post! Every once in a great while, I get an opportunity to really level-up in the style department. It doesn’t happen often, but a couple times a year I have an “Aha!” moment and I realize I’ve been missing a secret ingredient that may unlock a style treasure chest. My most recent treasure chest finds have been hats, dark colored lipsticks, and clothing pieces that make a statement all on their own. I hadn’t realized that those things were missing from my wardrobe until I did a little bit of research on styling and how to wear different outfits. Though they’re simple solutions, some times they’re hard to see when you’re in the midst of a closet melt down. If you could take a look from day to night in ONE step, how would you do it? Lauren: I think one of the best ways to take a look from day to night is to add a statement piece. Whether that be bold jewelry, shoes or a clutch. Even something as simple as a statement lip color can help you pull the ole switch-a-roo and turn you from Plain Jane to Queen Bey real quick! What are a couple things that you think are consistently missing from clients closets? Lauren: I often find that our clients are missing two things – staple items and pieces that actually excite them. Staple pieces are necessary to building a functional wardrobe. Things like a great pair of jeans or work pants are important. Whenever I style a box, I try to start with a great key item that can easily be used over and over, no matter the look they are trying to achieve. Once you have that piece, shopping for everything else becomes a breeze. In addition to this, if you have clothes that make you smile when you put them on, you’re definitely more likely to wear them often because you feel good! What is one area in styling that you would tell people to save their money on? Lauren: While I am an advocate for only buying things you can wear a minimum of three ways, sometimes you may need to buy a one off piece for an event. If at all possible, save your money there. Use those savings to spend on things you absolutely adore and will get lots of use out of! Lauren: Understanding your own shape and comfort level is important. My best suggestion for implementing any style is just making sure an item or look actually fits you three ways – fits your body, fits your personality and fits the occasion. As long as you follow those guidelines, you will always look good in your clothes because your style will be true to you and your confidence will shine through. What do you think is the biggest benefit of the plus size community moving away from always dressing in clothes that “flatter” their body? 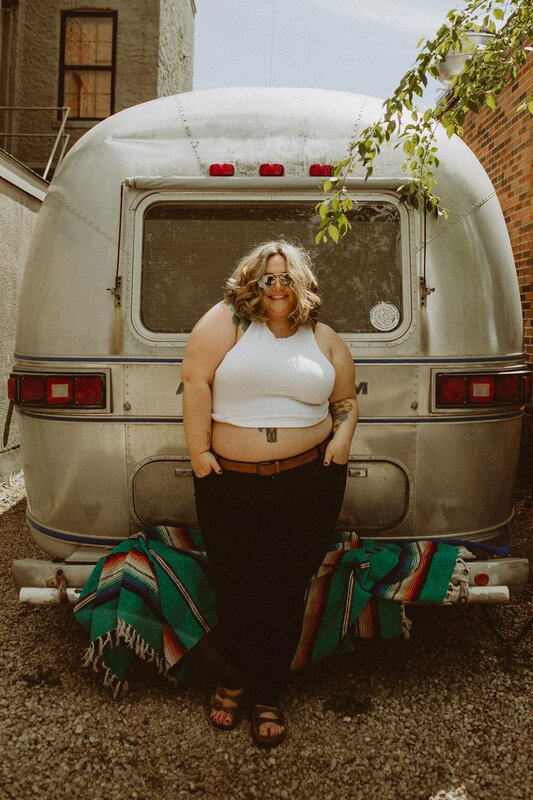 Lauren: I think the biggest benefits are true style freedom and overall body acceptance! 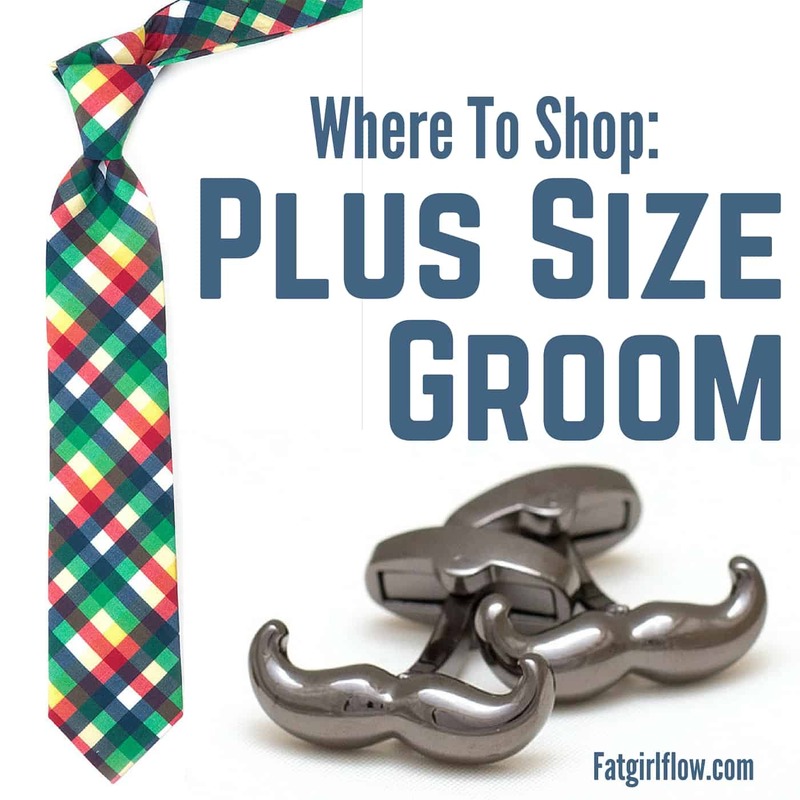 Once you let go of stigmas surrounding how you “should” look for your size, you really start to enjoy fashion. 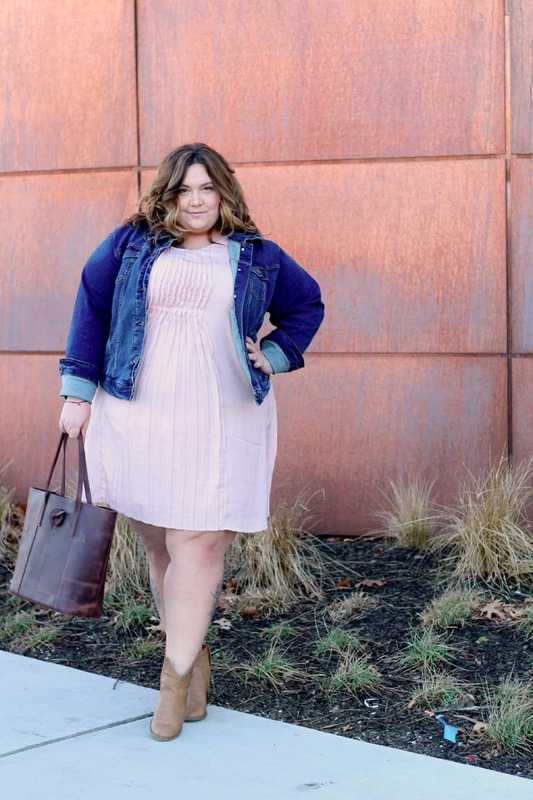 Many plus size women are still bound to silly rules about how to dress (ie: no horizontal stripes or no bright colored bottoms) when realistically, many of them would love to try these things. I think that plus size women moving away from traditional “flattery” and being vocal about it has forced designers to start handling their approach to product a lot differently as well. There are more options for us now than ever before. It’s a lot easier to dress for your personality now than it was 30yrs ago. That comes from stepping out of comfort zones and pushing retailers to do better. That is definitely important. As a stylist, if you’re not dressing someone to traditionally “flatter” their figure, what are your main goals in putting together outfits for them? Lauren: My main goals when styling someone are fitting the body, adding dimension to their wardrobe and making sure they feel good in what they have on. If they are open to prints or silhouettes that may go against the grain, I want to give them that experience. We’re not all one shape and dressing to disguise that is silly. If you are bottom heavy and proud, I want you have things that make those hips and thighs look glorious. If you are cool with your belly and are down to show it off, there is a crop top in my hand with your name on it! What is your favorite look of the moment? Lauren: Boho is still rocking my world this season! I’m loving all things flowy, crochet and embellished. Also, lingerie as day-wear. So lacy tops with blazers or silky kimonos with a tank and jeans. So effortless and cute! What do you think, did you get some new styling tips? I especially love Lauren’s outlook on how to style someone when finding the most “flattering” style isn’t what’s important to them (ahem… probably because that’s where I struggle!). It’s so helpful to be able to bounce ideas off of another person and talk to them about where you’re struggling to find your style identity. Having access to a stylist that can help you really zero in on your goals and how you want to be received through your style is such a fun process. You can hear more about my experience with Dia&Co and learn more about the styling process in the video below. Big huge thanks to Lauren and the Dia&Co team for allowing me to interview them, and for helping make my closet a bright fun space… and for reminding me that accessories are my friend! That skirt definitely looks silver on camera but I’m curious about how it looks in person. I’ve just recently heard of Dia & Co so I’m so excited to hear that it’s a service that you love! I adore that blue sweater. ? Gold/silver = Gliver???? This is so nice to see you get new clothes and you looked fabulous in all of them! I’m a big girl and I can’t rock clothes like that. I’m definatley subscribing! I have the worst time finding clothes that fit me I am 32 on the top and 24 on the bottom I need help finding places to bye clothes HELP!!!!!!! !